A group of students who have been to UKSA with their school to sail every summer holiday have now qualified as RYA Dinghy Instructors. The students, from Dr Challoner’s Grammar School in Buckinghamshire, have been coming annually since Year 7 and are now in Years 12/13. Some were complete beginners when they first went out on the water at UKSA. Over many years the trips were under the leadership of Jeremy Graham, with assistance from a large number of school staff. Dr Challoner’s has been coming to UKSA regularly for years, clocking up over 50 separate trips ranging from dinghy sailing to keelboating to multi-activity weeks. 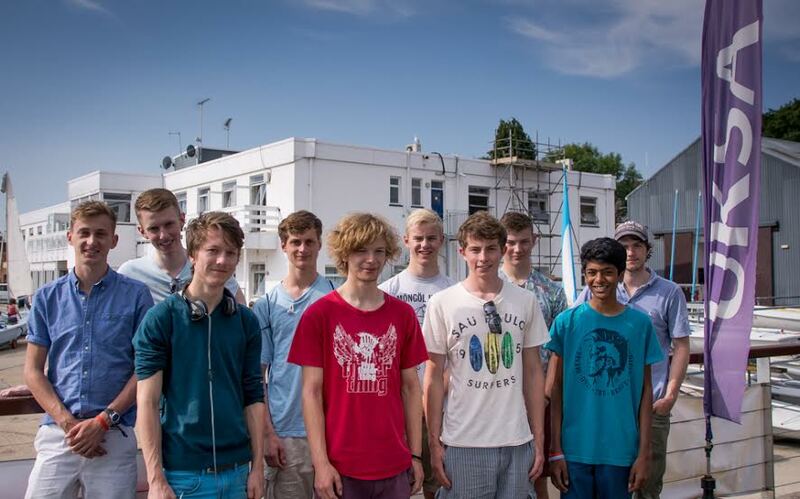 Charles Brewer, 18, added: “I started here in Year 7 which was the first year I joined the school and I had no idea what to expect and had never done sailing before. Since I’ve been here I’ve loved the sailing but also discovered there’s so much more than just the sailing. It’s excellent that our school has had the ability to give us this opportunity as I would never have done it without my school giving me the chance.